FAQ Selling or Buying a Home in Severna Park, Annapolis, Davidsonville, and Beyond! It’s a New Year! Some of you have made resolutions, others have made goals, others have dreams. 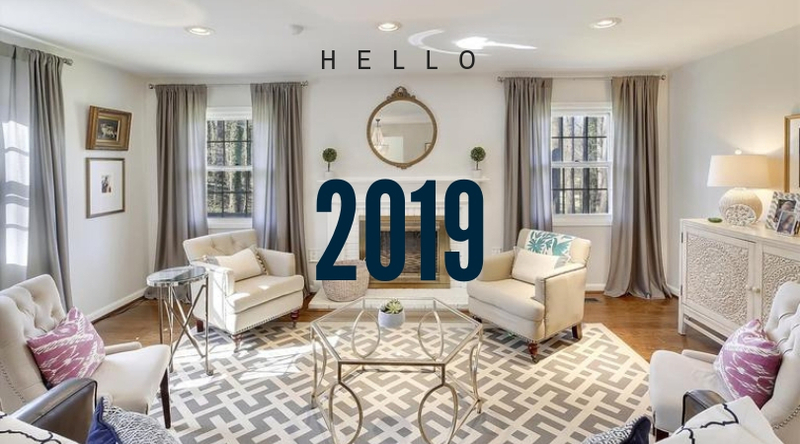 Whatever you choose, there are many of you who have decided it’s a great time to sell and/or buy a home in the months to come whether it’s in Annapolis, Arnold, Davidsonville, Severna Park, Edgewater or anywhere else in Maryland! Below are many of our F.A.Q. around home selling and buying! If you don’t see your question answered here, please reach out to us. We’re happy to help educate you! 2019 most likely will be a split market: sellers have some stronghold on the market, especially for those homes that are in prime location/good schools, appropriately priced, and have been updated, but buyers are gaining some power versus the past few years! Ask us about the current market conditions so you can be prepared to act quick or have negotiating power! What should I do to my home before putting it on the market? Have it pre-inspected with one of our home inspectors! This will ultimately save you money in the selling process. Ask us for more info as to why! Have one of us over to consult with you personally. Each home is unique and so are the matters that should be addressed for your future buyers. Don’t wait, the sooner we can get over there to give you advice, the better! In the meantime, you can start de-personalizing and de-cluttering. That all depends. Allow us to evaluate all aspects of your home to give you a professional opinion on paint colors, furniture, accessories, etc. However, in most cases when a home is appropriately staged for your prospective buyers, it sells a lot quicker and for more money! What seller doesn’t want more money and a quicker sale? Remember, you’ll never get a second chance to make a first impression applies to selling your home! Anytime after the New Year! Buyers have been circling so as soon as it’s ready to shine, let us get you on the market ASAP! No need to wait for the grass to green up… buyers want to lock in to a lower interest rate before the rates keep rising. Can I determine the list price off of Zillow’s estimate (Z-estimate) or any other websites? Allow us to bring you the current market conditions, data and personally evaluate your home to help you determine your list price. Zillow can’t see inside your home (or any other homes for that matter)! We’re happy to run customer numbers for you as there are a lot of different costs associated: transfer taxes, settlement fee, and REALTOR ® fees that are based off the sales price of the home. When should I talk to a lender? As soon as possible before you decide to purchase a home so you know how much you can afford and what your monthly payment will be. Who pays the REALTOR ® fees when purchasing a home? In most cases, the seller pays the buyer’s agent fees! What are some factors that I should consider when purchasing a home? We like to drill down personally and figure out what YOU want in a home, while helping you critically evaluate your future resale factors (even if it’s your forever home; job changes happen unexpectedly)! We have a handful of resources to help you evaluate many aspects of the home and location of the home. What is an earnest money deposit? Is it applied to my closings costs or down-payment? An earnest money deposit is part of your offer to show the seller you are serious about purchasing their home. In most cases, the larger the deposit, the stronger a purchase offer looks to a seller. The amount that is deposited is subtracted from the final figure that a buyer pays at the closing table. We’re happy to run numbers for you or your lender can also approximate your closing costs. Typically it’s anywhere from 2-3% of the purchase price. We love our jobs and are more than happy to discuss any other questions you may have about selling and/or buying your home!